A short and sweet skincare post today, as I get back into the swing of things around here. These aren’t new products to the market, they’re just new to me. I always find that after I’ve been through some form of emotional or physical upheaval, it shows itself in my skin. Moving and starting my new job has been no exception, with a little break out rearing it’s ugly and unwelcome head late last week – just in time for a black tie event on Saturday night. These two products have been absolute skin savers these past couple of weeks. This mask gets ALL the gunk out of your pores in a way no other product ever has for me. The salicylic acid works deep down to dissolve all of that crap. I don’t know exactly what the activated charcoal does, but whatever it is, it’s good at it. The blackheads on my nose (ew) are all but gone after I use this. I’ve tried it a few times now and I can’t wait to see the difference it will make after some more applications. The mask dries kind of tight though, so go generous on the moisturiser afterwards. It’s also really reasonably priced as far as skincare goes – get on it. So I’d wanted to try the Mario Badescu line for a while, but I had it built up in my head as crazy expensive. Plot twist: it’s not. This little guy is only $22. 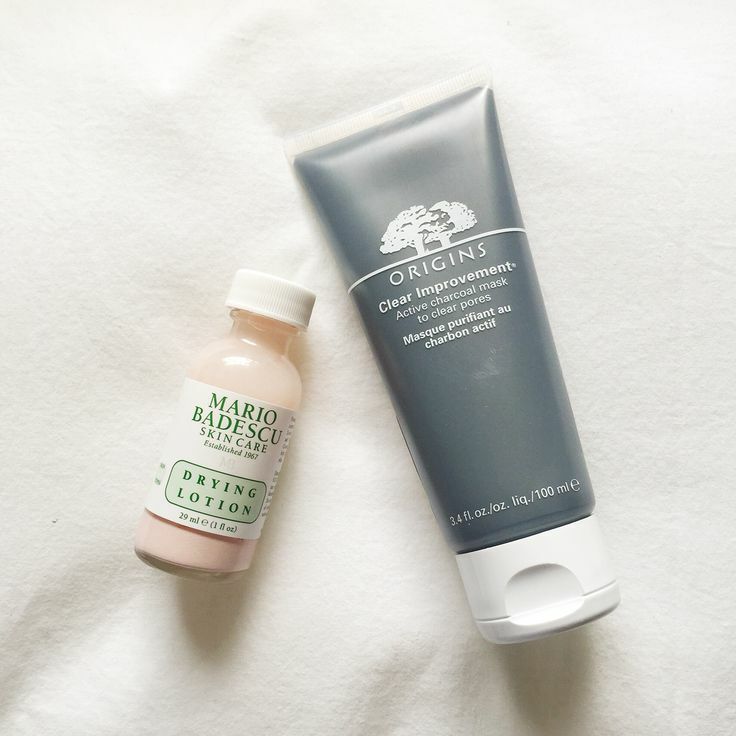 The drying lotion is like nothing I’ve ever used before – I’ve usually used tea tree oil as a spot treatment, or tried the old toothpaste trick to little avail. This stuff is like a pink silt sediment at the bottom of the bottle, into which you dip a cotton tip and then dab onto your spots. It’s pretty pink, so I wouldn’t recommend it in the day time if you want to leave the house. Wake up the morning, and your dreams have come true – spots are pretty much gone. I will say that it works best on pimples that have come to a head, so it’s not for those frustrating, deep hormonal spots that might appear once a month. There’s another Mario Badescu prod for those that I might try. I’ll be sure to review it if I do. In the mean time, enjoy your spotless skin.